Samsung officially announced the Galaxy S7 and Galaxy S7 Edge phones on Sunday at the Mobile World Congress in Barcelona, Spain. 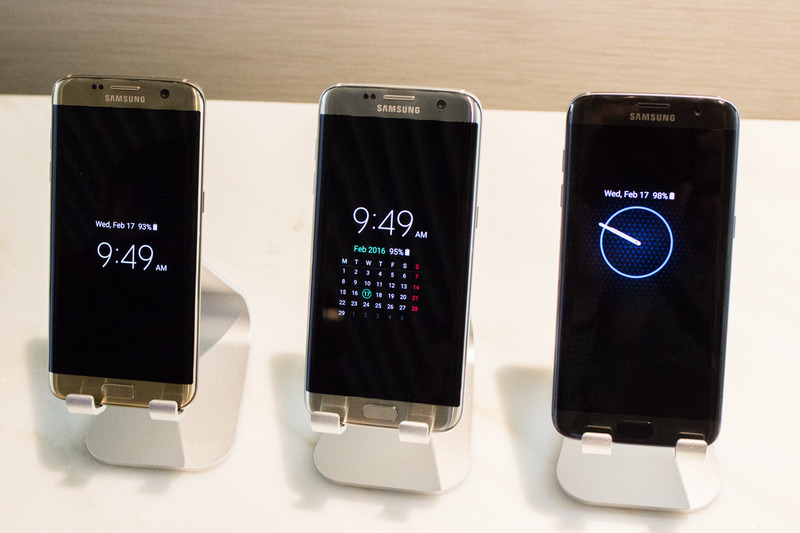 We had some hands-on time with the Galaxy S7 phones at a press event in New York City before the show, and we were impressed with their features and functions, many of which you won’t find on iPhones. 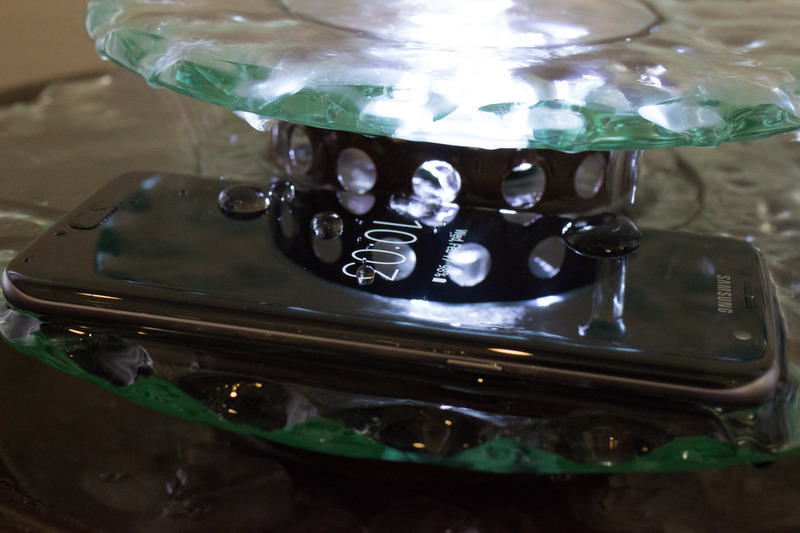 The Galaxy S7 is water-resistant. Sure, Apple added a gasket in the iPhone 6s, but the company is not confident enough to say the iPhone can be dunked underwater and survive. Samsung, on the other hand, came right out and said the Galaxy S7 is water-resistant. To be specific, it’s rated with IP68 dust and water resistance, which means it can go more than a meter underwater for about 30 minutes. It can charge really quickly. 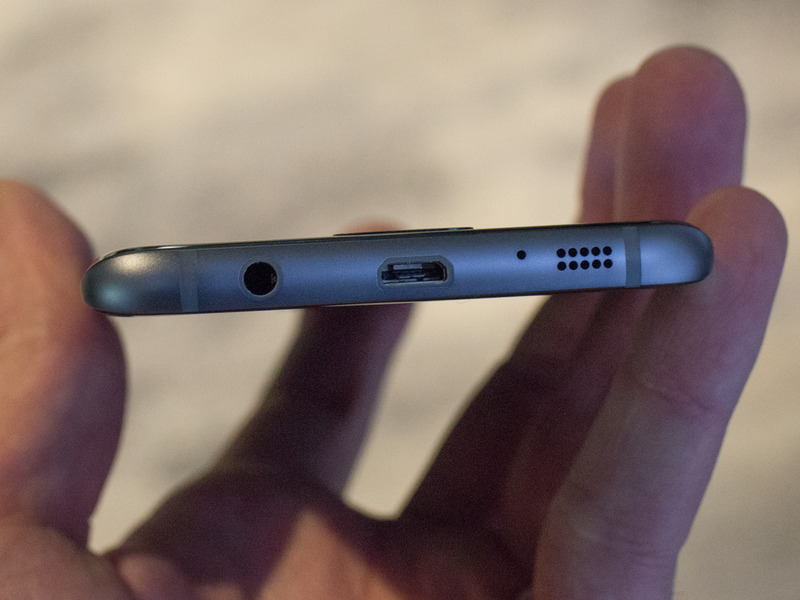 The Galaxy S7 has quick-charging via micro USB. We’re not yet sure how fast the Galaxy S7 will charge, but if it’s anything like the Galaxy S6’s two-hour charge time, we’ll be happy. To compare, the iPhone 6s Plus takes about three hours to charge. The main benefit of quick charging is that it can give the Galaxy S7 a big jolt of juice in a short period of time. It could reach 60% battery life in 30 minutes of charging. In fact, it can charge wirelessly quickly. 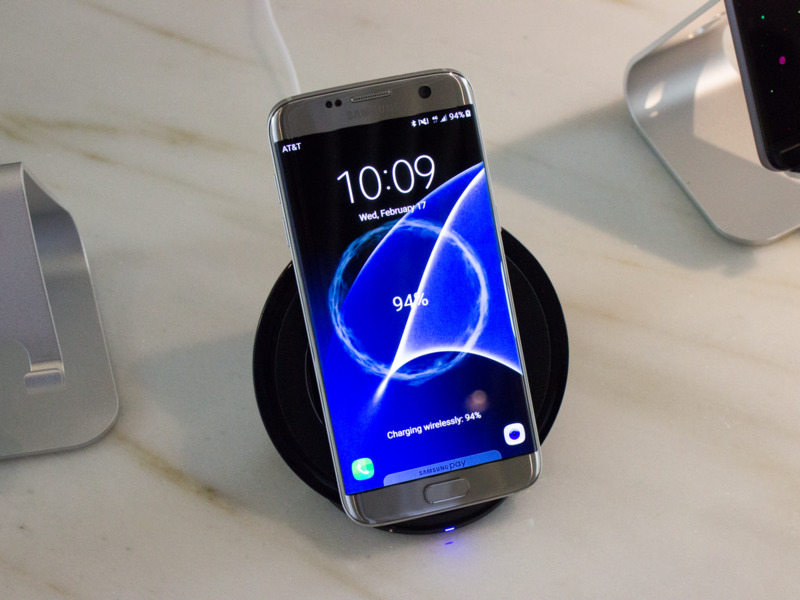 Samsung says its quick wireless charging will charge faster than the regular wired charging. Wired quick-charging is still faster, but wireless charging is a nice feature to have. You can just place your phone on a charging dock and get a boost during the day without thinking about it. It’s a good way to make sure you’re always topped up with battery. The Galaxy S7’s camera can autofocus faster than that of the iPhone 6s. It also takes better photos in the dark. You can add more storage with a microSD card. Samsung reintroduced a microSD card slot into the Galaxy S7. 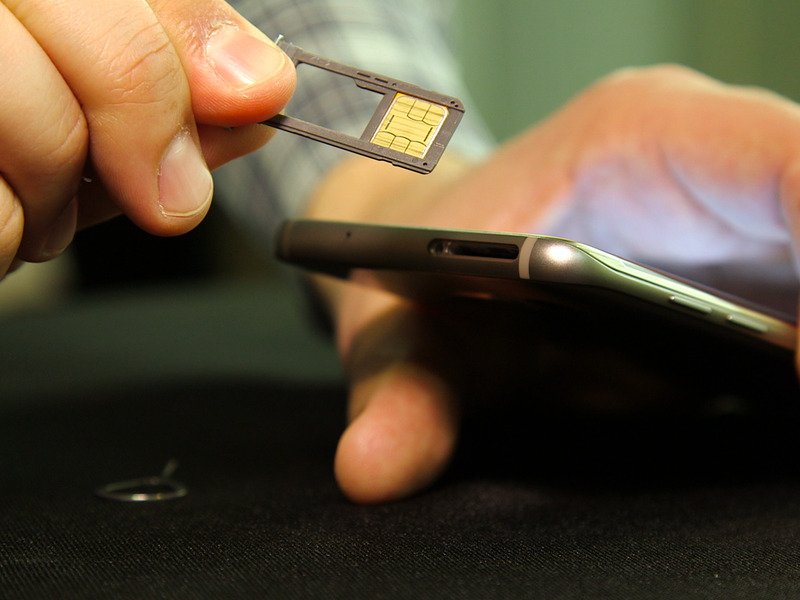 The slot is incorporated into the SIM card tray and lets you add up to an additional 200 gigabytes of storage. It has a bigger battery. The standard Galaxy S7 has a 3,000mAh battery, and the S7 Edge has a 3,600mAh battery. To compare, the iPhone 6s has a 1,715mAh battery, and the 6s Plus has a 2,750mAh battery. We haven’t tested out the battery life on the Galaxy S7 smartphones, but they’ll probably last longer than the iPhone considering they’re much bigger than the iPhones’ batteries. 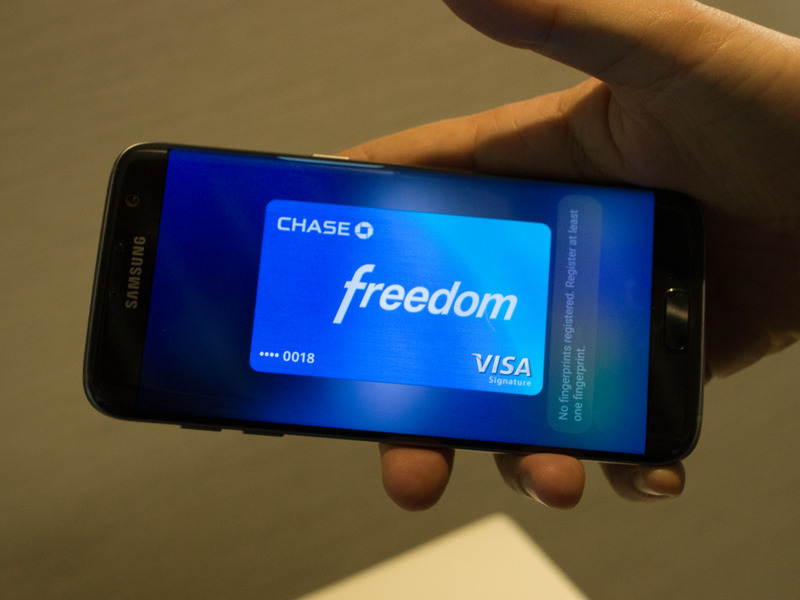 Samsung Pay works on regular credit-card readers. Samsung Pay works with almost any credit-card reader, even really old ones. Meanwhile, the iPhone’s Apple Pay works only on newer credit-card terminals that have near-field-communication technology built into them. That means you’ll never be sure whether the store you’re walking into supports Apple Pay unless you look around for a sticker saying it does. It has an “always on” screen. 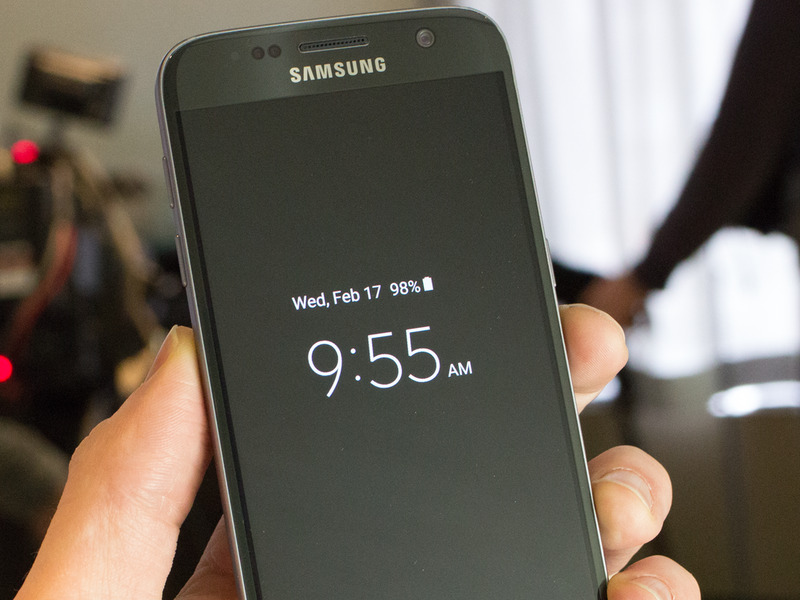 The “always on” display on the new Galaxy S7 phones lets you glance at basic information like date, time, and basic information about your notifications without having to wake the phones. On iPhone, you have to wake the display to check the time or notifications. The Galaxy S7 Edge has widgets on the curved display’s edges. You can access your favorite apps, contacts, and news and even make shortcuts to actions like composing a text message right from the edge of the Galaxy S7 Edge’s curved screen. violet4ever / Is there a reason WOWHD is not on your list? They have sites in a number of countries and ship to a longer list of countries for free. I preordered at their US site. Master DG disse:Olha, ta pra sair, mas nÃ£o crie muitas espectativas, pois pode demorar, como tambÃ©m amanhÃ£ mesmo pode sair!! NinguÃ©m sabe, mas estava previsto pra este mÃªs!! "Given my rigid opposition to the use of the coercive state to force my values onto others while making them pay for it, any Republican attempting to try me on for size will find me a pretty poor fit, indeed." — DaveGibberish.